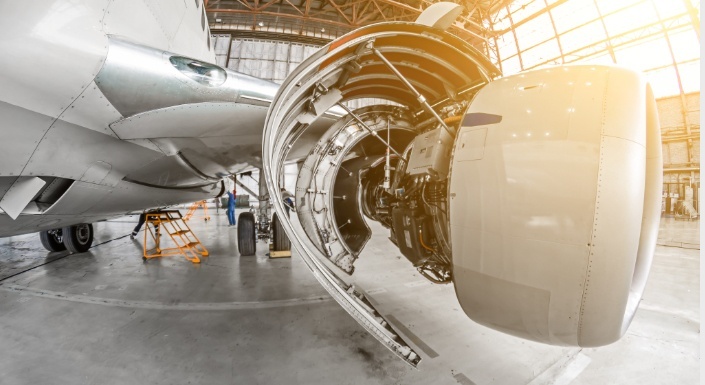 Managing a large aerospace project is no mean feat. With so many aspects to juggle and keep control of, investing in a specialist software solution will undeniably make your life easier and help ensure that your project is delivered on time and on budget – no matter what comes your way. Large aerospace projects shouldn't take off before being thoroughly planned and scheduled. No matter the size of the project, scheduling your baseline, budgets, resources, and proposed project length effectively can make all the difference when it comes to starting. Using a specialist, all-in-one project management tool for this important task is miles better than relying on disparate solutions. It will empower you to clearly define the scope of your work and make sure that the right people are in right place, with the right resources, at the right time. Spending on complex manufacturing projects is estimated to be valued at 6-9 trillion USD a year, or 8% of global GDP. Undertaking these massively complex tasks can be hugely profitable, but with high profitability comes proportionately high risks. Large aerospace projects often run over time, over budget, and sometimes both. In fact, one study found that nine out of ten mega projects exceed their budgets. Having the probability of risk assessed before a project is underway will not only better prepare you for all possible outcomes, but studies have found that it can also increase profitability because resources will only be allocated when they are actually needed. Communication plays a crucial role in all areas of business: on large scale aerospace projects – doubly so. You have contractors, subcontractors, managers, stakeholders, and other parties all needing to be kept sufficiently informed about every element of the project. It is essential, then, that your project management software has a suitably robust set of reporting functions. Most project management tools require you to purchase third-party apps to produce live reports and graphs. However, great project management software will include in-built reporting tools, allowing you to share important project data in histograms, pie-charts, and project summary reports. It's a well-worn maxim in project management circles, but it's worth repeating: how a project begins often determines how a project will end. To this end, it's important to make sure you invest in the right project management software before your project leaves the runway. Getting this small step right will guarantee a painless venture for you and the many people working to make your aerospace project a success. Why not see for yourself the true power of Safran Project with a 30 day free trial? Simply click the link below.